Pork stuffed cucumbers is one of the dishes that I know very well as I always make it. All the cooking steps are pretty much in my head. Every time when I make this dish, I don't need to have a recipe in front of me. Since I want to show you how I prepare it, I wrote down every step so that you can follow if you are interested. For a Western style, this dish can be served with pasta sauce. For an Asian style, the pasta sauce can be replaced by the oyster sauce gravy. A bread crumb coating can prevent the meat from sticking to the pan when pan frying, and cucumbers from becoming soggy. I didn't make the pasta sauce from scratch. I just bought it instead. 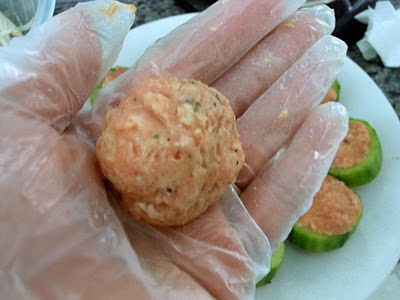 I use the remaining pork mixture to make some meatballs. disposable gloves when I handle raw meat. In a mixing bowl, mix ground pork with egg, garlic salt, black pepper, dry parsley and 1 tablespoon of corn starch until well combined. Set aside. Cut cucumber crosswise into 3/4" lengths. 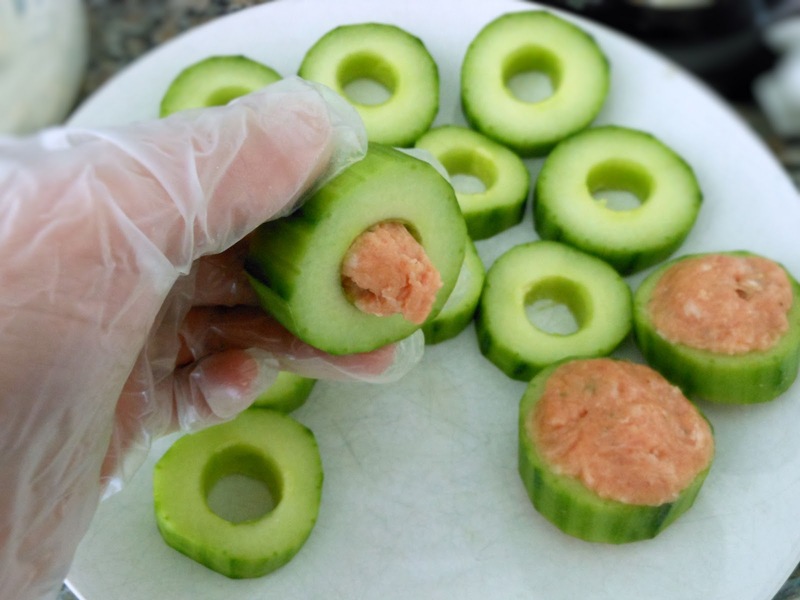 Remove seeds from the center by using a cylinder cutter or knife. 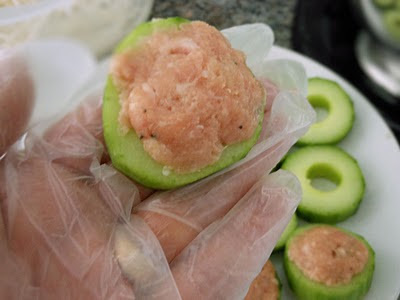 Stuff pork mixture into the holes of the cucumbers and spread some over the surfaces on both sides. 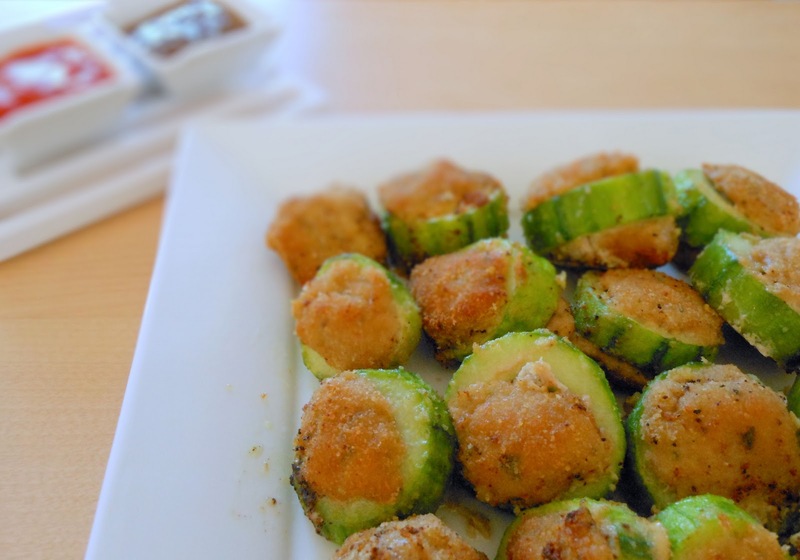 Drop the stuffed cucumbers into the bread crumbs until they are covered with bread crumbs. Heat three tablespoons of oil in a pan over medium heat. Put the stuffed cucumbers in the oil and pan fry both sides until slightly brown. 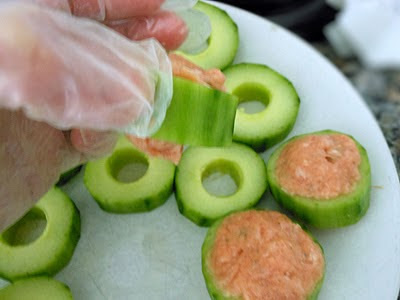 Transfer stuffed cucumbers to a baking sheet. Bake for 12 - 15 minutes. 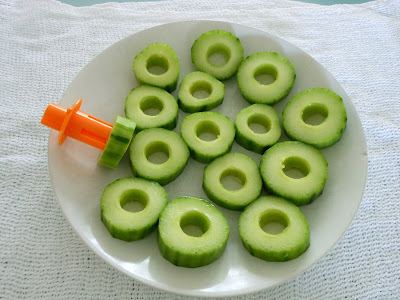 Place the stuffed cucumbers on a serving plate and serve with pasta sauce or oyster sauce gravy. 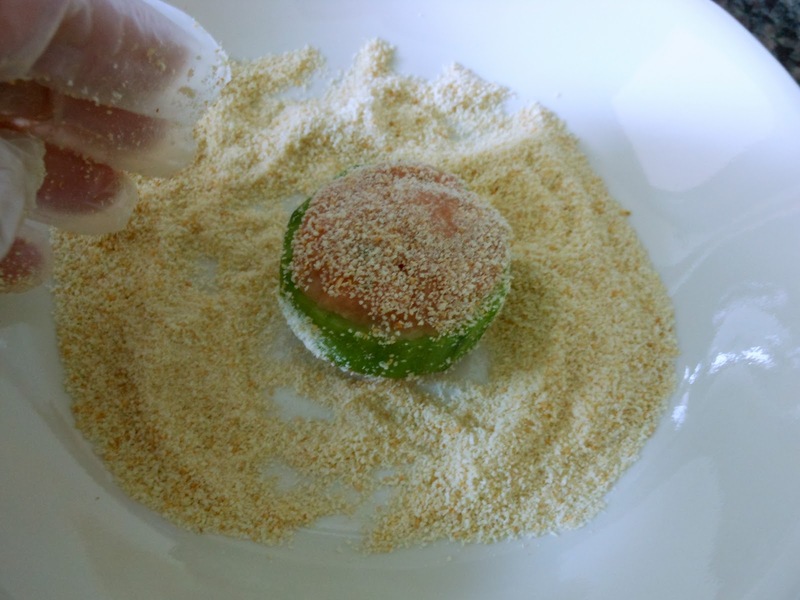 Put all the ingredients in a small saucepan and mix well. Cook over medium heat until thickened. Remove from heat and serve.